Reed murdered his ex-girlfriend’s parents in their home. Reed was arrested for driving a car into an Army officer trying to help her. He was sentenced to 37 months in prison after pleading guilty to assault. In prison, Reed wrote threatening letters to Rego. After he was released, he bought a gun and hitchhiked to the Lafayettes' house looking for Rego. Reed was supposed to be on a bus on his way to a federal halfway-house program, but instead killed Joseph and Barbara Lafayette in their Adams Run home in 1994 while he was looking for his ex-girlfriend. The couple refused to tell Reed the whereabouts of their daughter. Reed denied the killings and argued that no physical evidence placed him at the scene. Reed acted as his own lawyer during his 1996 trial. He denied the killings, despite his confession to police and three witnesses who said they saw him come out of the couple’s home after the shooting. Police found in Reed's bag a diagram of the Lafayettes' home and tennis shoes of the same make as shoe prints found in the Lafayettes' yard. The jury took only 30 minutes to convict him. State v. Reed, 332 S.C. 35, 503 S.E.2d 747 (S.C. 1998) (Direct Appeal). Reed v. Ozmint, 374 S.C. 19, 647 S.E.2d 209 (S.C. 2007) (PCR). A South Carolina man convicted of killing his ex-girlfriend's parents 14 years ago was executed in the state's electric chair Friday night after a last-ditch effort to halt the sentence was denied by the U.S. Supreme Court. James Earl Reed was pronounced dead at 11:27 p.m. Friday in the state's death chamber in Columbia. He did not issue a final statement. The execution, first scheduled for 6 p.m., had been put on hold as defense attorneys successfully obtained a stay from a federal judge, only to see it vacated by the 4th U.S. Circit Court of Appeals. Their attempt to get the U.S. Supreme Court to block the execution was subsequently denied. Reed, 49, was the first person executed by electric chair in the U.S. in nearly a year and South Carolina's first since 2004. He had been on death row since 1996, after being convicted of murdering Joseph and Barbara Lafayette in their Charleston County home two years earlier. Prosecutors said he was looking for his ex-girlfriend. In the request for the stay that was granted Friday, the defense attorneys cited a U.S. Supreme Court decision made the day before regarding defendants' rights to represent themselves. The high court on Thursday said a defendant can be judged competent to stand trial, yet incapable of acting as his own lawyer. MIAMI (Reuters) - South Carolina on Friday electrocuted a man for murdering his ex-girlfriend's parents in 1994, the second execution in the state since a Supreme Court ruling lifted a de facto national moratorium, a state official said. James Earl Reed, 49, was convicted in 1996 of shooting Joseph and Barbara Lafayette multiple times, including execution-style shots in the heads, after they refused to tell him where their daughter was. He had dismissed his attorney during his trial and tried to defend himself in court. "The execution of James Earl Reed was carried out at 11:27 p.m.," state prison spokesman Josh Gelinas said. The execution had been scheduled for 6 p.m. EDT but was halted at the last minute and delayed for nearly 5 1/2 hours while lawyers made final appeals. The U.S. Supreme Court ultimately cleared the way for the execution. Reed became the eighth person to be put to death in the United States since the high court in April rejected a legal challenge to the three-drug cocktail used in most executions for the past 30 years. Reed chose to die in the electric chair, the first death row inmate in South Carolina in more than four years to choose electrocution over lethal injection. Most states use lethal injection as their primary method of execution. But some, like South Carolina, give death row inmates other options, like the electric chair, or gas chamber. Hanging and firing squad are still used in a small number of states. In April, the Supreme Court rejected by a vote of 7-2 a challenge by two Kentucky death row inmates who argued the current lethal injection method inflicts needless pain and suffering in violation of a constitutional ban on cruel and unusual punishment. Executions were put on hold across the country while the high court mulled the case. Since its ruling, executions have been carried out in Georgia, Mississippi, Virginia, Texas, Oklahoma and South Carolina. COLUMBIA — James Earl Reed was executed by electrocution late Friday, after court action delayed his death for about five hours. Reed, 49, was convicted of murdering Joseph and Barbara Ann Lafayette in their Adams Run home in 1994, shooting each five times and at point-blank range. He offered no final words. Reed became the 280th person put to death in South Carolina since 1912, but the circumstances surrounding his execution were anything but typical. Witnesses were brought back to the capital punishment facility at Broad River Correctional Institute at 10:40 p.m. for this on-again-off-again execution. Attorney Diana L. Holt filed an appeal with the U.S. Supreme Court by the 10:50 p.m. deadline, which was immediately followed by a motion from the state Attorney General's Office. The Supreme Court weighed the case for less than an hour before allowing the state to carry out the execution. Reed was pronounced dead at 11:27 p.m.
Holt said she believed the state tried to rush the execution. "What in the world is the rush," she said minutes before Reed was put to death. "They won't let Mr. Reed have a conversation with me or the other attorney." The night took its first twist at 5:40 p.m., 20 minutes before the execution was originally scheduled, when U.S. District Judge Henry F. Floyd granted Holt's motion to stay the execution. The family of the murder victims, along with reporters, waited for five hours to witness the execution until the Corrections Department announced that the execution was back on. That action came when the 4th U.S. Circuit Court of Appeals in Richmond, Va., upheld the state's motion to vacate the stay of execution. Marsha Lafayette Aleem, 37, the victims' youngest daughter, spoke after the execution. Aleem and two of her uncles witnessed Reed's death. "Today is not a celebration for my family. This is a day about justice," she said. "Today starts our healing process." Over the years, she said, people have gotten to know a lot about James Earl Reed. Now, it's time to know the victims. The Lafayettes made many sacrifices for their three children, putting them through college, Aleem said. Later, all three chose careers in the military. "They're not here to see the grandchildren," Aleem said. "They weren't here to share the happiest moments of our lives. They are the ones that made the ultimate sacrifice." Holt filed an appeal with the Supreme Court with enough time to postpone the execution. The motion was based on a Supreme Court decision Thursday that said a defendant can be ruled competent to stand trial but incapable of acting as his own lawyer. The case is Indiana v. Edwards. Reed's competency was an issue during his double-murder trial, in which he represented himself. Reed had an IQ of 77. A normal IQ ranges from 85 to 115. The American Association on Intellectual and Developmental Disabilities defines a person with an IQ of 70 as having mild retardation, but the ceiling may reach 75 due to a five-point standard error of measurement. Fielding Pringle, one of the attorneys who filed the motion to intervene along with Holt, said Friday evening that they believe that Indiana v. Edwards entitled Reed to a new trial. Reed did not contact the lawyers who filed the motion, Pringle said. Lawyers may intervene on a person's behalf if they believe that something is taking place that is unjust or unconstitutional, the Columbia-based private practice lawyer said. Reed did not request a last meal or a spiritual adviser, Gelinas said. The 7-2 high court decision overruled the Indiana State Supreme Court's ruling that a schizophrenic man, who wanted to represent himself, was entitled to a new trial after a judge denied him his right to represent himself. Virginia Gov. Timothy Kaine acted in a similar case earlier this month. He commuted Percy Walton's death sentence to life in prison without parole on June 9, according to published reports. Kaine said Walton's mental condition left him incompetent to be executed because he was not cognizant of what was happening. The governor cited those reasons in addition to Walton's age at the time of the crime and evidence of mental retardation. In 1996, the trial judge allowed Reed to represent himself, with a court-designated standby counsel, after a doctor concluded he was competent and able to understand the proceedings. The doctor found Reed's failure to cooperate with appointed counsel to be voluntary, according to court records. After a jury took only 30 minutes to convict him, Reed pleaded for a lawyer to represent him in the sentencing. The judge refused, and Reed received capital punishment. Eight people came to the Corrections Department headquarters to protest the execution, some of whom had participated Thursday in a vigil for Reed at a Columbia chapel. Ron Kaz traveled from James Island to protest the execution, although he, like the others, did not know Reed or his family. "I don't believe the state should be killing people," Kaz said. "They do it in my name and I resent it." Moments after James Earl Reed was put to death in the electric chair Friday for the double murder of Joseph and Barbara Ann Lafayette, the victims' family broke 14 years of silence. Marsha Lafayette Aleem, the youngest daughter of the Lafayettes, spoke to the media from notes on flowered stationary. "You've gotten to know a lot about James Earl Reed," she said. "Now it's time to know my parents." Prior to the execution, the family held a strong, silent front to the media. Their reason for doing so was simple: to deny Reed any pleasure he might draw from their pain. Also, any delay of the execution was regarded as further victimization of the family, Aleem said. In 1994, Reed shot and killed the Lafayettes in their Adams Run home when Reed went there looking for one of their daughters, his ex-girlfriend. The Lafayettes were the parents of three children, all of whom serve different branches of the military. Aleem, 37, serves in the Air Force and lives in Tampa, Fla. She and two of her uncles witnessed the execution. "My reasoning for witnessing the execution is that my brother, sister and I were away in the military and unable to defend them," Aleem said by telephone Saturday. "My duty is to see justice delivered to him." After Reed was pronounced dead, Aleem spoke to the media of the sacrifices her parents made raising three children and putting them all through college. "They are the ones that made the ultimate sacrifice," Aleem said during the press conference. Prosecutors in the 1996 trial allege Reed shot the Lafayettes when they refused to disclose their eldest daughter's whereabouts. Joseph Charles Lafayette, 39, the couple's son, recently retired from the Navy and lives in his parents' brick home, a place full of memories. "I just can't let the house go," he said. "That would really deter everything they worked for." His parents had paid off the house in full. The Lafayettes were a hardworking couple who instilled principles of fairness and the value of education in their children, their son said. "They made sure we were raised very well," he said. The elder Joseph Lafayette worked as a janitor for the Charleston County School District. Barbara Ann Lafayette was a receptionist at a health clinic and also worked as a self-employed insurance agent. Joseph Charles Lafayette's two sons, ages 6 and 4, were born after their grandparents' deaths. "There's a lot of sorrow," he said. "My kids will never see their grandparents." Aleem described the last-minute motion to stay the execution and the ensuing flurry of paperwork between lawyers and courts as gut-wrenching. "Every 30 minutes there was something," she said. "It was very difficult to deal with that because Reed acted as judge, jury and prosecutor." Lawyers unrelated to the case filed motions to stay the execution in the U.S. District Court, the 4th Circuit Court in Richmond, Va., and the U.S. Supreme Court, delaying the execution by more than five hours. Reed did not contact the lawyers who filed the motion. Lawyers may intervene on a person's behalf if they think that something is taking place that is unjust or unconstitutional. The motion to stay was based on a Supreme Court decision Thursday that said a defendant can be ruled competent to stand trial but incapable of acting as his own lawyer. The case is Indiana v. Edwards. Reed's competence was an issue during his double-murder trial, in which he represented himself. Reed had an IQ of 77. A normal IQ ranges from 85-115. The S.C. Attorney General's office fought each motion through the evening in order for the execution to go forward before 11:59 p.m., when the death order expired. "We're grateful to the state Attorney General and his team for being proactive and relentless in seeing justice served," Aleem said. James Earl Reed was sentenced to die for the murders of his ex-girlfriend’s parents in their home. Prosecutors said Reed was supposed to be on a bus on his way to a federal halfway-house program but instead killed Joseph and Barbara Lafayette in their Adams Run home in 1994 while he was looking for his ex-girlfriend. The couple refused to tell Reed the whereabouts of their daughter. Reed denied the killings and argued that no physical evidence placed him at the scene. Reed, 49, acted as his own lawyer during his 1996 trial. He denied the killings, despite his confession to police and three witnesses who said they saw him come out of the couple’s home after the shooting. Prosecutor David Schwacke said, "He apparently had drawn out a diagram of the interior of the house. He had to stop and buy a gun in Greenville, then hitchhike here." He's not surprised Reed chose the electric chair over lethal injection. "To him, it's probably a more flashy way to go out and akin to what he said he wanted to do in the first place, being tied to a tree and shot," Schwacke said. UPDATE: Reed was executed in South Carolina's electric chair on June 20, 2008, pronounced dead at 11:27 PM after approximately five hours of delay due to last-minute appeals. My name is James Earl Reed, with the SCDC number of 5041 being incarcerated upon South Carolina Death Row, here within Ridgeville S.C. at Lieber Corr. Inst. Where I am within a urgent need of help! This case is upon black and white, meaning court transcribe, along with being upon television camera for my lawyer at the S.C. appellate defense 1122 Lady St. Suite 940 Columbia S.C. 29201-3243 Joseph L. Savitz trial transcribes. News channel 2 NBC (843) 884-2288, Mrs. Jill Ford I gave her a one hour and thirty minute interview before trial, plus a thick folder of all the state paperwork, with all the covering the full trial in court camera, for I was my own lawyer within this death penalty case/trial. News channel 4 ABC (843) 881-4444 covered the full trial only in court camera. News channel 5 CBS (843) 577-6397 Ben Mankiewicz, I gave him a one hour and 45 minutes interview along with a thick folder with all the evidence, plus other state paperwork, along with on camera all the pictures of the crime. I didn’t every hide, nor hold back anything from anyone! The big issue within this death penalty case/trial, was that I would be representing myself which I have come to find out this hasn’t been done, until I became the first! Within this state, and was told perhaps within any other state! I didn’t become my own lawyer for no type of fame nor glory! Yet to save my life period! I had the head public defender of Charleston S.C. Ashley Pennington, for his trial strategy was call reconciliation, that’s it! Not to do a effective cross-examination, to whittle down the adversary’s state evidence, which all the state evidence help’s me! So I fired both lawyers, and took my own case not knowing the law well enough to handle a death penalty trial as such, just the truth and knowing this truth it carried me through the 7 day trial without stopping it to teach me anything! People in trouble, have the tendency to make themselves look and sound right, or like they haven’t done anything, and people are messing with them because of some reason or another! I ensure you along with everyone else this isn’t the of James E. Reed! I don’t want you nor anyone else to believe me at all! Yet get the court transcribes, compare the 3 witnesses testimony to their statements, study the sled evidence analysis along with what each agent said upon the stand (this isn’t, this don’t belong to James E. Reed)! Call news channel 2 NBC, 4 ABC, or 5CBS and get both interviews before trial. All 3 covered the trial in court. Get each videotape than you can make up your own determination whether to help me! At least do that, for what do you have to Lose? I have my life to lose!! I wrote along with putting together a book of over 700 pages, which is called “The defense speaks”! It covers 12 years of my life before arrest, 2 years of waiting for trial within Charleston Detention Center here in S.C., the full 7 day trial, Broad River death row, Lieber Corr. Inst. Death Row, with all types of state paperwork, evidence all not to hid anything from anyone! I was arrested in May 1994, and went to trial in June 2-9, 1996. Where I took my own case to fight the way, I needed my lawyers to have just have each state expert sled agent, say exactly what is on her or his DNA forensic laboratories question document! That’s it! Not to hide anything, not play buddy buddy with the solicitor/DA, and act like you are fighting for me! Yet you aren’t! 23. Human Blood – Carpet in den Don’t match any of the standards submitted – none of the individuals could be the contributor of this blood. Neither victim nor James Reed (blood next to victim body). 57. Samples from the hands of James Reed insufficient to determine gunshot residue. Miranda Rights - Witnesses Only one police officer sign when it takes both Partners. One backing up the other one. Plus on the stand the officer stated that 2 officers must sign. 3 State Witnesses Said they seen a man run in and out of the victim’s house into the woods. Than during the trial upon the stand they said saw James Reed. Plus James Reed was driving the victim after the shooting and stop to have a conversation with them. I gave each of the 3 state witnesses their statements, and ask each one to show me where it says I saw James Reed. None of them could!! I ask each one to identify James Reed glasses, shirt, pants, tennis shoes or sneakers, neither one could identify anything, plus to compare each of their statements to their testimony you are able to see and hear them lying! All of this came out during the trial, which it took the Jury 2 hours and 45 minutes of deliberation to come back with a decision. Which the other lawyers were looking for a quicker decision! Now, no one ever believed that this case wouldn’t receive a full new trial, or receive a dismissal of the case! Yet the S.C. Supreme Court turn me/my case down. I feel along with knowing that it was turned down by using the 4 P’s! Instead of the law and common sense! The 4 P’s are Prejudice, Politics, Power, People to keep me down/this case down is to put fear within any other inmate, that may want to represent themselves. By stating you see what happen to James Earl Reed, representing himself the stare killed him, that will put fear within that inmate heart to keep that lawyer, and back down from his fight to use me/my case to keep it down so that no other inmate may wish to represent himself or herself, and to keep that lawyer, and that lawyer knowing that there’s no evidence his client! Yet his client may receive 12 years – a life sentence or plea! I have seen this during the 2 years awaiting trial! Please like I have stated. I don’t want you to believe me nor need you to believe me! Please check this out. Than make up your own determination. Base upon what you lay your hands, your eyes upon. If you do this I know you would write to help me save my life!! James Earl Reed is a man used to having his way, but it's not the way most people would choose. When his ex-girlfriend's parents refused to tell him her whereabouts, he methodically shot them dead, firing at the mother once in each leg, once in the lower body and once between the eyes at point- blank range. When he insisted on defending himself in his double-murder trial, despite pleas from defense attorneys that he had an IQ of 77 and was not competent to stand trial, he became the first person under the state's current capital punishment law to represent himself. After a jury deliberated just 30 minutes to convict him of those murders, Reed reversed himself and asked for a postponement in the sentencing phase and pleaded for a lawyer to help spare his life. He got the postponement. Now, nine years after the slayings of Joseph and Barbara Ann Lafayette in their Adams Run home, Reed has resurfaced from Death Row at Lieber Correctional Institution with another odd demand: He wants to be executed rather than continue with further appeals. "I am standing upon my word that this case be dismiss [sic] or I be killed," Reed, 44, wrote in a letter to The Associated Press last week. He added that he has also decided against asking the governor for clemency, eating a final meal or making a last statement. All of this sounds familiar to former 9th Circuit Solicitor David Schwacke. In television interviews before his trial, Reed ventured that if Schwacke could convict him and get the death sentence, then Reed would let Schwacke tie him to a tree and shoot him dead. "This is pretty consistent with what he did at the trial stage, making the case personal," Schwacke said Monday. "Might just be the last act of a desperate man." No motions have been filed pertaining to his request, said Assistant Public Defender Fielding Pringle of Richland County. She said Reed's request comes after his latest appeal for post-conviction relief was denied in a Richland County court. Reed has at least four more courts in which he could appeal his death sentence, said Pringle, including the South Carolina Supreme Court, the U.S. Supreme Court, the U.S. Fourth Circuit and the Federal District Court. She said she talks with him regularly, but declined to say whether he has changed his mind. "His competency has been hotly disputed since Day 1," Pringle said Monday. "It is in the court transcript that he has an IQ of 77 and suffers from neurological impairment." An IQ of 75 is considered the low end of normal, Pringle said. "It is a very sad story. He should never have been allowed to represent himself in the first place. It is very sad." The Lafayette family could not be reached for comment Monday. At trial, prosecutors said Reed and the Lafayettes' daughter, Laurie Rego, briefly dated while they were both in the Army. Rego testified that when she tried to break off the relationship and fled her own apartment to get away from him, he rammed a car into an Army officer who was trying to help her. Reed was sentenced to 37 months in prison after pleading guilty to assault, but he continued to write Rego threatening letters from prison. When Reed was released from prison on April 25, 1994, instead of going to a federal halfway house in Fayetteville, N.C., to complete his sentence, he went to Greenville and bought a 9 mm pistol and 10 bullets. On May 18, Reed showed up at the Lafayettes' house looking for Rego. For Reed to be executed voluntarily, he must be found competent by a judge. Five years ago, the state Supreme Court upheld Reed's conviction after considering whether Circuit Judge William Howard had erred by finding Reed competent and capable of representing himself. The high court held that the judge had made clear to Reed the inherent dangers in self- representation. Assistant Deputy Attorney General Don Zelenka was on vacation Monday and unavailable for comment, and his department's spokesmen, Trey Walker, said he was unaware of Reed's expressed intentions to volunteer for execution. From Lieber Correctional Institution, Reed said on his Web site at www.ccadp.org/jamesearlreed.htm: "The big issue within this death penalty case/trial was that I would be representing myself which I have come to find out this hasn't been done, until I became the first! ... I didn't become my own lawyer for no type of fame nor glory! Yet to save my life period!" 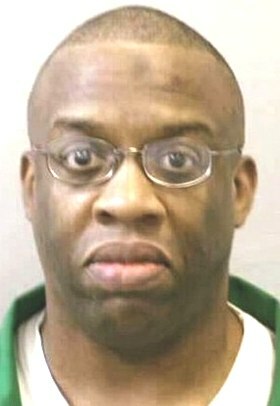 The South Carolina Department of Corrections executed James Earl Reed on Friday, June 20, 2008 in their electric chair. He was pronounced dead at 11:27pm. Just minutes prior to his scheduled date with death at 6:00pm, Reed's execution was delayed when a federal court granted a reprieve pending the outcome of a last minute appeal. The US Supreme Court denied his final appeal and the execution was then able to be carried out. Reed, who had been on death row since 1996 for the murders of his ex-girlfriend's parents Joseph and Barbara Lafayette in their Charleston County home two years earlier had dropped his appeals. Reed had one federal appeal left which was denied by the Supreme Court late into the night. James Earl Reed is the first person electrocuted in South Carolina's electric chair in more than four years. The last electrocution in the United States was on September 12th of 2007 when the state of Tennessee executed Daryl Holton for the murders of his children. Reed represented himself during his trial arguing that there was no physical evidence linking him to the murders. The prosecutors presented a confession and three eyewitnesses who testified that they saw him leave the house and drive away in the victims' car after shots were heard. The jury took 30 minutes to deliberate and returned with a guilty verdict. Reed requested an attorney to represent him during the sentencing phase of his trial and his request was denied. In 2003, Reed requested to drop all his appeals and be executed A letter sent to the Associated Press in 2003, Reed wrote, "I am standing upon my word that this case be dismiss or I be killed." Currently there are eight states that still use the electric chair for executions and all them them offer lethal injection as an alternative. In South Carolina inmates have a choice of the electric chair or lethal injection. James Earl Reed chose to die in the electric chair which has prompted much debate on internet blogging sites such as the Pro Death Penalty Information Community. There are at least twenty-three scheduled executions nationwide for the remainder of 2008. The next inmate scheduled for execution is Robert Yarbrough in Virginia on June 25, 2008 for the murder and robbery of Cyril Hugh Hamby, age 77. "James Earl Reed was Executed in South Carolina's Electric Chair," by Pam Brown. "SC executes James Earl Reed by electrocution." COLUMBIA, S.C. (AP) — A South Carolina man convicted of killing his ex-girlfriend's parents 14 years ago has been executed in the state's electric chair. James Earl Reed was pronounced dead at 11:27 p.m. Friday in the state's death chamber in Columbia. First scheduled for 6 p.m., the execution was delayed by a last-ditch legal fight that ultimately was quashed by the U.S. Supreme Court. Reed had been on South Carolina's death row since 1996 for the murders of Joseph and Barbara Lafayette. Reed represented himself during his trial, denying the killings despite a confession and arguing that no physical evidence placed him at the scene. Reed was the first person executed by electric chair in the U.S. in nearly a year and South Carolina's first since 2004. Killer's own death nears; James Earl Reed will be the 280th person executed in South Carolina since 1912. Before that, executions were by hanging in individual counties. Of the 279 condemned, 73 were white and 206 were black. Also, 277 were men and two were women. Legalities of execution - Between 1963 and 1984, the state did not carry out any executions while the legality of death penalty statutes was challenged nationally. In 1972, the U.S. Supreme Court ruled that the death penalty was unconstitutional in cases in which the court or jury had the unfettered discretion to impose the ultimate penalty. South Carolina, along with 34 other states, modified its statutes to make the capital punishment mandatory in certain cases. Crimes punishable by death in South Carolina are murder with one of 13 aggravating circumstances and criminal sexual conduct with a minor with one of nine aggravating circumstances. Also considered capital offenses are second and subsequent offenses of first-degree criminal sexual conduct with a minor who is less than 11 years old. Methods of execution - All executions in the state were carried out by electrocution until June 1995, when people were allowed to choose between the electric chair and lethal injection. Since the option of lethal injection was introduced, only two people have been executed by electrocution. The last man to die in the electric chair was in 2004 after he refused to decide a method of execution. The default was the electric chair because he was sentenced before June 1995. The default mode for those sentenced after June 1995 is lethal injection. Eight states use the electric chair in executions, and all of those states offer lethal injection as an alternative. The gas chamber, hanging and firing squad also still exist in a few states, which also offer lethal injection as an alternative. James Earl Reed's fatal stubborn streak is slated to end at 6 tonight in the electric chair. 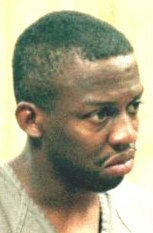 Reed, 49, will be executed for the 1994 shooting deaths of his ex-girlfriend's parents in their Adams Run home. His low intelligence and difficult personality were hallmarks of his trial, where he represented himself. In 2003, he simultaneously declared his innocence and asked for his execution to be carried out. Ultimately, his fate was sealed in May 1994, when he was released from prison, where he had served time for an assault charge. Less than a month after he was released, he turned up at the house of Joseph and Barbara Ann Lafayette looking for his former girlfriend. When the couple refused to tell Reed their daughter's whereabouts, he shot them each five times, including point-blank execution shots to their heads, prosecutors said. Family members of the victims declined to comment. Reed has not requested clemency from the governor's office, according to spokesman Joel Sawyer. Legally, he may still seek a stay, said Mark Plowden, communications director for the S.C. Attorney General's office. He will be the third person to be executed by electric chair in South Carolina since the lethal injection option was introduced in 1995. Thirty-four men have been put to death in that period, six of whom were tried in Charleston County. Reed insisted on defending himself in his double-murder trial, ignoring pleas from defense attorneys that he had an IQ of 77. A normal IQ ranges from 85 to 115. A person with a test score of 70 is considered to have mild retardation, but the ceiling may reach 75 because the standard error of measurement is about 5 points, according to American Association on Intellectual and Developmental Disabilities. "James is kind of a posterchild for competency," said Joseph L. Savitz, chief appellate defender of the S.C. Office of Appellate Defense, who represented Reed during his first direct appeal. "He is right on the borderline. He becomes competent, then he is incompetent." Nationally, a few defendants with borderline IQs have had capital punishment charges reversed, according to the Death Penalty Information Center. The trial judge allowed Reed to represent himself, with a court-designated standby counsel, after a doctor concluded he was competent and able to understand the proceedings. The doctor found Reed's failure to cooperate with appointed counsel to be voluntary, according to court records. The judge's decision was upheld in later appeals. Reed's personality proved to be problematic for many who worked with him. "A lot of people don't like James. James could be difficult to get along with," Savitz said. "James never quite really figured out the system he's playing with. I think James thought the system cared about him more than it actually did," he said. Prosecutors said Reed and the Lafayettes' daughter, Laurie Rego, dated briefly while they were both in the Army but that she tried to end the relationship. Reed was arrested for driving a car into an Army officer trying to help her. He was sentenced to 37 months in prison after pleading guilty to assault. In prison, Reed wrote threatening letters to Rego. After he was released, he bought a gun and hitchhiked to the Lafayettes' house looking for Rego. He was arrested the following day and confessed to the crime. Three eyewitnesses testified they saw him leave the house and drive away in the victims' car after shots were heard. Although no physical evidence linked Reed to the scene, detectives found in Reed's bag a diagram of the Lafayettes' home and tennis shoes of the same make as shoe prints found in the Lafayettes' yard. Neither the gun nor the spent casings were found. Former 9th Circuit Solicitor David P. Schwacke prosecuted the case. "One of the hardest types of cases to prosecute is when a person represents himself," Schwacke said. "The fear is there is some sympathy engendered to them." After a jury took only 30 minutes to convict him, Reed pleaded for a lawyer to represent him in the sentencing. The judge refused, and Reed received capital punishment. In 2003, while housed on Death Row at Lieber Correctional Institution in Ridgeville, Reed declared that he wanted to end the appeal process and be executed. In a letter to The Associated Press five years ago, Reed wrote, "I am standing upon my word that this case be dismiss [sic] or I be killed." He also said he would not ask the governor for clemency, eat a final meal or make a last statement. Reed's choice of the electric chair strikes some onlookers as yet another ornery decision. "I have no idea why he would do that other than to be contrarian to the end," Savitz said. COLUMBIA, S.C. --An anti-death penalty group plans to hold a vigil outside the South Carolina prison where a man is set to be put to death by electrocution. The Christian Action Council says it will have signs available for anyone wishing to participate today before the 6 p.m. execution of James Earl Reed. Reed has been on South Carolina's death row since 1996 for the murders of his ex-girlfriend's parents. Reed represented himself during his trial, denying the killings despite a confession and arguing that no physical evidence placed him at the scene. Jurors found him guilty and decided he should die. Reed would be the first person electrocuted in South Carolina in more than four years. Most executions have been carried out by lethal injection. In 2003, while housed on Death Row at Lieber Correctional Institution in Ridgeville, Reed declared that he wanted to end the appeal process and be executed. In a letter to The Associated Press five years ago, Reed wrote, "I am standing upon my word that this case be dismiss [sic] or I be killed." He also said he would not ask the governor for clemency, eat a final meal or make a last statement. Reed's choice of the electric chair strikes some onlookers as yet another ornery decision. "I have no idea why he would do that other than to be contrarian to the end," Savitz said. Defendant was convicted in the Circuit Court, Charleston County, William L. Howard, Sr., J., of capital murder, and he appealed. The Supreme Court, Finney, C.J., held that: (1) evidence supported the determination that the defendant was competent to stand trial; (2) the defendant knowingly and voluntarily waived his right to counsel; (3) the defendant's inculpatory statements were made knowingly and voluntarily; and (4) the trial court did not abuse its discretion in refusing to allow standby counsel to take over on the eve of sentencing. Affirmed. Appellant James Earl Reed, was convicted of murdering his former girlfriend's parents. Appellant was sentenced to death. This appeal consolidates appellant's direct appeal with the mandatory review provisions of S.C.Code Ann. § 16-3-25 (1985). We affirm. A public defender and a private attorney were appointed to represent appellant. A hearing was held to determine whether appellant was competent to stand trial. Judge Howard concluded after the hearing that appellant was competent to stand trial. Subsequently, appellant requested to represent himself. After a hearing, the trial judge found appellant's request for self-representation was freely and voluntarily made. The private attorney was relieved of representation and the public defender was appointed to serve as standby counsel. Appellant represented himself during the guilt phase and waived his right to testify. The jury found him guilty of both murders. Before the penalty phase began, appellant sought to change his relationship with standby counsel such that appellant *39 would give the opening statement and counsel would continue. Appellant claimed he would be too emotional to cross-examine the victims' family. The trial judge refused to appoint counsel because it was too late in the proceeding and counsel would be unable to adequately prepare on short notice. The judge concluded that appellant was not entitled to either the appointment of counsel or to have standby counsel cross-examine the victim-impact witnesses. Standby counsel objected on the basis that appellant was not competent to represent himself at sentencing and asked to be appointed. The trial judge declined to appoint any counsel for appellant at sentencing**749 since appellant had waived his right to counsel. At the conclusion of the penalty phase, the jury recommended and the judge sentenced appellant to death for both murders. I. Was it error to find appellant competent to stand trial and waive his right to counsel? II. Was it error to allow appellant's statement into evidence? III. Was it error to refuse to appoint counsel to represent appellant at sentencing? IV. Was it error to fail to obtain a waiver of appellant's right to testify at the sentencing phase? I. Appellant argues that the trial court erred in finding him competent to stand trial and waive his right to counsel. We disagree. The test for determining whether a criminal defendant is competent to stand trial is “whether he has sufficient present ability to consult with his lawyer with a reasonable degree of rational understanding and whether he has a rational as well as a factual understanding of the proceedings against him.” Dusky v. United States, 362 U.S. 402, 80 S.Ct. 788, 4 L.Ed.2d 824 (1960). The defendant bears the burden of proving his incompetence by a preponderance of the evidence. State v. Nance, 320 S.C. 501, 466 S.E.2d 349, cert. denied, 518 U.S. 1026, 116 S.Ct. 2566, 135 L.Ed.2d 1083 (1996). The test *40 is not whether the defendant is actually cooperating with his lawyer, but rather if he has the mental capacity to do so. State v. Bell, 293 S.C. 391, 360 S.E.2d 706 (1987), cert. denied, 484 U.S. 1020, 108 S.Ct. 734, 98 L.Ed.2d 682 (1988). The trial court's determination of competency will be upheld if it has evidentiary support and is not against the preponderance of the evidence. State v. Nance, supra. Dr. Behrmann examined appellant during his two month hospitalization at Hall Institute. Dr. Behrmann concluded that within a reasonable degree of medical certainty, appellant was competent to stand trial and had the ability to understand the nature of criminal proceedings. In Dr. Behrmann's opinion, appellant had the ability to understand the charges against him and to assist his counsel. Dr. Behrmann did not find appellant to be suffering from paranoia but concluded his failure to cooperate with appointed counsel was voluntary. Dr. Behrmann subsequently examined appellant for about forty-five minutes several months prior to trial. In Dr. Behrmann's opinion, appellant continued to be competent to stand trial. He concluded that appellant had a factual knowledge of the charges against him, the potential penalty he faced and his options in pleading. Dr. Behrmann did not find a mental illness or that appellant's decisions arose out of a delusional process. During appellant's hospitalization, staff observed that he was able to interact with staff and other patients normally and did not demonstrate a guarded, distrustful, suspicious kind of behavior normally expected from a person with a paranoid process. The trial judge concluded that appellant had the factual understanding of the charges against him and a rational understanding of the proceedings and how the court works, and the roles of the various participants. The judge was convinced by the medical reports and testimony that appellant does not have a pervasive paranoia or paranoid behavior that affects his ability to interact and to cooperate. The judge found appellant had the present ability to rationally understand the proceedings and the ability to consult with his attorneys with a reasonable degree of rational understanding. His findings and conclusions were based on the forensic unit staffing report and the testimony of Dr. Behrmann and associates. The judge also found persuasive the staffing entries *41 which showed appellant's ability to cooperate. In view of the evidentiary support in the record, we uphold the trial court's determination of competency. State v. Nance, supra. After the court found appellant competent to stand trial, appellant moved to waive representation by appointed counsel and sought to represent himself. The trial judge questioned**750 appellant in camera about his knowledge of the proceedings and what it would mean to represent himself rather than have representation by two capital trial qualified attorneys. The trial judge warned appellant of the dangers and disadvantages of self-representation. Appellant stated that he understood what he was waiving but still chose to waive counsel. It is well-established that an accused may waive the right to counsel and proceed pro se. Faretta v. California, 422 U.S. 806, 95 S.Ct. 2525, 45 L.Ed.2d 562 (1975). Although a defendant's decision to proceed pro se may be to the defendant's own detriment, it “must be honored out of that respect for the individual which is the lifeblood of the law.” Id. at 834, 95 S.Ct. 2525. The right to proceed pro se must be clearly asserted by the defendant prior to trial. State v. Sims, 304 S.C. 409, 405 S.E.2d 377 (1991), cert. denied, 502 U.S. 1103, 112 S.Ct. 1193, 117 L.Ed.2d 434 (1992). The trial judge has the responsibility to ensure that the accused is informed of the dangers and disadvantages of self-representation, and makes a knowing and intelligent waiver of the right to counsel. Faretta, supra. The ultimate test of whether a defendant has made a knowing and intelligent waiver of the right to counsel is the defendant's understanding. Graves v. State, 309 S.C. 307, 422 S.E.2d 125 (1992). The only relevant inquiry is whether the defendant has made a knowing and intelligent waiver of the right to counsel. Faretta, supra. There is no prohibition against a capital defendant knowingly and intelligently waiving the right to counsel. State v. Brewer, 328 S.C. 117, 492 S.E.2d 97 (1997). A decision can be made intelligently, with an understanding of the consequences, without the decision itself being a wise one. Id. The trial judge held several hearings to determine whether appellant understood what it meant to represent himself and to waive the appointment of experienced counsel. The judge informed appellant of the dangers and disadvantages of self-representation. Appellant continued to assert that he understood what he was waiving and demonstrated to the judge that he was making a knowing, intelligent perhaps unwise, voluntary decision to represent himself. Accordingly, the trial court did not err in accepting appellant's waiver of his right to counsel. II. Appellant contends the trial court erred in allowing his statement into evidence where his invocation of the right to remain silent was not honored. We disagree. An exculpatory or inculpatory statement obtained as a result of custodial interrogation is inadmissible unless the person was advised of and voluntarily waived his rights under Miranda v. Arizona.FN1 If a defendant was advised of his Miranda rights, but nevertheless chose to make a statement, the “burden is on the State to prove by a preponderance of the evidence that his rights were voluntarily waived.” State v. Kennedy, 325 S.C. 295, 479 S.E.2d 838 (Ct.App.1996). Law Enforcement officers are not required to terminate an interrogation unless there is an unambiguous invocation of the right to remain silent. Davis v. United States, 512 U.S. 452, 114 S.Ct. 2350, 129 L.Ed.2d 362 (1994). FN1. 384 U.S. 436, 86 S.Ct. 1602, 16 L.Ed.2d 694 (1966). The State asserts that appellant did not indicate a clear, consistent and unequivocal expression of a desire to remain silent and terminate questioning. Detectives Coaxum and Hale testified that they read appellant his Miranda rights and obtained appellant's signature on the advisement of rights form. Appellant initially failed to respond to questions. The detectives talked with appellant for about 20 to 30 minutes. Detective Coaxum continued talking to appellant after Detective Hale left the room. During that time appellant indicated involvement in the murders. Detective Hale returned to the room and appellant continued discussing facts concerning the murder and did not invoke his right to silence. Appellant agreed to cooperate with the officers in finding the murder weapon. After returning to the sheriffs office, a written statement was made by Detective Hale based on appellant's verbal statement. The statement was read to appellant and signed by him. The officers testified that appellant did not ask for an attorney. Detective Hale stated that the only time the subject of an attorney came up was when appellant made a “vague statement” to the effect that he wondered who would be his attorney. The trial judge concluded the State had shown by a preponderance of the evidence that the statement was knowingly, intelligently, and voluntarily given after waiver of his rights and appellant was accorded all of the procedural safeguards required under Miranda v. Arizona. The trial judge's determination of the voluntariness will not be disturbed unless so manifestly erroneous as to show an abuse of discretion amounting to an error of law. State v. Kennedy, supra. The trial court did not err in denying the motion to suppress as the State met its burden of showing that appellant's statement was voluntarily and freely given. III. Appellant asserts the trial court erred in refusing to appoint standby counsel to represent him at sentencing. We disagree. At the conclusion of the guilt phase, appellant asked to have standby counsel takeover and cross-examine the state's witnesses after appellant made the opening argument. The trial judge interpreted the request as asking the court to appoint counsel to undertake representation of appellant. Standby counsel stated that while he would do his best to prepare to cross-examine witnesses, he was not prepared to represent appellant during the sentencing phase. Standby counsel stated he had not investigated the case in reference to victim impact evidence or mitigation. The court concluded that it would be a hybrid form of representation placing standby counsel in the position of not being fully prepared to cross-examine witnesses without delaying the trial. The court found it would delay the proceeding because counsel would need time to prepare and the continued sequestration of the jurors would not be possible. The court declined to appoint counsel but allowed counsel to sit beside appellant as standby counsel and aid appellant to the extent he desired. A trial judge is not required to permit hybrid representation, i.e. representation partially pro se and partially by counsel. *44 McKaskle v. Wiggins, 465 U.S. 168, 104 S.Ct. 944, 79 L.Ed.2d 122 (1984); State v. Sanders, 269 S.C. 215, 237 S.E.2d 53 (1977). A criminal defendant may initially assert his right to self-representation for reasons that later prove unsound. Menefield v. Borg, 881 F.2d 696 (9th Cir.1989). While the right to counsel once waived is no longer absolute, there is a strong presumption that a defendant's post-trial request for the assistance of counsel should not be refused. Id. The court in Menefield, found that appellant was entitled to counsel after waiving his right prior to sentencing. The court noted however, there are times when the criminal justice system would be poorly served by allowing the defendant to reverse his waiver at the last minute particularly where delay would result. Further, the court noted the distinction between delay on the eve of trial and delay at the time of a post-trial hearing. Menefield, supra. In United States v. Holmen, 586 F.2d 322 (4th Cir.1978) the court found it was error not to allow appellant to withdraw his waiver of counsel and have counsel appointed at the sentencing stage. However, in Holmen, the sentencing stage was a separate proceeding unlike the continued proceeding in the instant case involving a sequestered jury. The trial court here was faced with allowing standby counsel to step in and cross-examine the witnesses on less than twenty-four hours preparation. Judge Howard was concerned with appellant being entitled to effective assistance of counsel. McMann v. Richardson, 397 U.S. 759, 90 S.Ct. 1441, 25 L.Ed.2d 763 (1970) (the right to counsel includes the right to effective assistance of counsel). The trial judge did not err in denying appellant's request to have standby counsel represent him on the eve of sentencing. IV. Appellant contends the trial court erred in failing to obtain a waiver of his right to testify at the sentencing phase. We disagree. During the guilt phase, the trial judge informed appellant at length of his right to testify and obtained a waiver on the record of his intention not to testify during that phase. The judge did not obtain a specific waiver of the right to testify during the penalty phase. However, appellant indicated that he did not intend to testify during the sentencing phase. A capital defendant has the right to testify at the sentencing phase. State v. Ray, 310 S.C. 431, 427 S.E.2d 171 (1993). The waiver of a constitutional or statutory right requires a showing on the record that the defendant made the waiver knowingly and intelligently. Id. at 435-37, 427 S.E.2d at 174. The references in the record demonstrate that appellant clearly waived his right to testify. Appellant's convictions and sentences are affirmed. We have conducted the proportionality review pursuant to S.C.Code Ann. § 16-3-25 (1985). The evidence indicates the sentences were not the result of passion, prejudice, or any other arbitrary factor, the evidence supports the finding of the aggravating circumstance; and the sentences are not disproportionate to that imposed in similar cases. State v. Williams, 321 S.C. 327, 468 S.E.2d 626 (1996). AFFIRMED. Background: Following affirmance of his murder convictions and death sentence, 332 S.C. 35, 503 S.E.2d 747, defendant filed an application for post-conviction relief (PCR), which was denied after an evidentiary hearing. Defendant subsequently sought to waive appellate review of the order denying his PCR application and to be executed. The Circuit Court, Charleston County, A. Victor Rawl, J., found defendant competent to waive appellate review and determined that his decision was knowing and voluntary. (2) defendant failed to make a knowing and intelligent waiver of his right to appeal. Affirmed in part and reversed in part; motion denied.